In honor of Black History month the team at Curated Vibes Group were inspired by the hit film “Hidden Figures” to highlight some of our “hidden figure” peers who are doing amazing things #ForTheCulture. Take a look at our 28 Dope Black Creative Vibers for each day of Black History Month and follow their journey, project and join their charity. Due to the unbelievable shift happening in our nation, we as a community need to remember we have a community and amazing and inspiring members making advancements. The only way we will get ahead is having the support from each and every one of us. We are the community of being over talented and highly underrated, it's time we create our own history books. In September 2011, Evita created the Nomadness Travel Tribe, an online social community for travelers all around the planet, who have the similarity of an urban background and were looking for likeminded travelers to connect with around the world. Nomadness was the first of it's kind targeting diverse millennial travelers, in the newly coined 'urban travel movement'. Nomadness spearheaded #NMDN in September 2015, the first alternative travel conference of its kind, targeting diverse urban millennials and has turned it into an annual conference in New York City for this travel demographic. More than anyone, Robinson understands how women of color can feel isolated while traveling, and how crucial it is to have a supportive community, which is why we are highlighting her gypsy soul. Skilled and adventurous private chef, food stylist, photographer and writer from Queens, New York. Sous Chef at The Metropolitan Museum of Art and the Sous Chef/Executive Dining Room Chef at the world renowned publication, The New York Times. In 2013 Shaquay competed on the Food Network’s popular face-off show, Chopped. As an avid traveler whose adventures have taken her to countries such as India, Spain, Italy, Monaco Shaquay loves to explore different food scenes and indulge in foodie favorites. Traveling has inspired her culinary techniques, recipes and tastebuds. Due to the unspoken unanimous love of food and travel across the team explains why she is one of our picks. Kai Kight is a classical violinist turned composer that uses music as a metaphor to inspire individuals and organizations across the world to compose paths of imagination and fulfillment. Inspired by his own mother who, when diagnosed with cancer, revealed regrets of not bringing her ideas to the world, Kai is on a mission to spark a global mindset shift in which ingenuity is the norm, not the exception. In his emotionally powerful presentations, Kai performs mesmerizing original music and vulnerably shares stories from his own transformation as an artist. Kai translates these insights into takeaways that audiences can easily infuse into their own lives and work environments. In a world filled with stereotypes, it's a fan favorite for us to see him break the typical “rapper” role and realm into the world of classic instruments with a soulful twist. Publicist by day & Non-Profit Founder by passion. This girl is the definition of hard work and determination which has led to her professional success as well as having selfless dedication leading a movement to encourage others to give back and pay it forward. At the age of 23 she founded the idea of Care More came to Mercedes after discovering her passion to help those in need while empowering them to believe that their current situation was only temporary. As a humanitarian with a tireless goal to assist others whenever, wherever and however she can, Mercedes is dedicated to developing creative, innovative and strategic ways to get the world to look at giving back as a necessity instead of an occasional charitable duty. This young phenomena is one of our picks because not too many people make charity look so rewarding and develop projects that do not benefit their pockets but the change the world for good. This Southern Beauty relocated her talents from South Beach (jk it’s really Tampa) to the Concrete. Coming to the busy NYC with her hustler mentality she quickly found herself overcoming many personal road blocks and landing with renowned positions within the culinary and event industry. This beauty has shown what being focused and goal driven is truly about while not letting anyone including herself stand in her own way or be the cause of her own demise. Her presences demands respect in any meeting and she is one to capture your attention any time she walks into a room. Her experience and capabilities provide her a heavy step in a typically male dominated grounds which is why she is the true definition of a Boss B*tch. Even though its two we will have them share one, this dynamic duo developed a creative innovative freelance agency that connects undeniable talent pool with lifestyle brands, matchmaking for clients and creatives. Reason why these GQ-esque dapper men are my pick is because some would consider making it to the levels they were at in their careers is success alone. They saw a service that was untapped and needed in the market and instead took a daring leap to venture out and position themselves in a competitive market. With just a little over a year in establishment they have taken great strides and allowed unthinkable opportunities freelancers have been feverishly working towards. 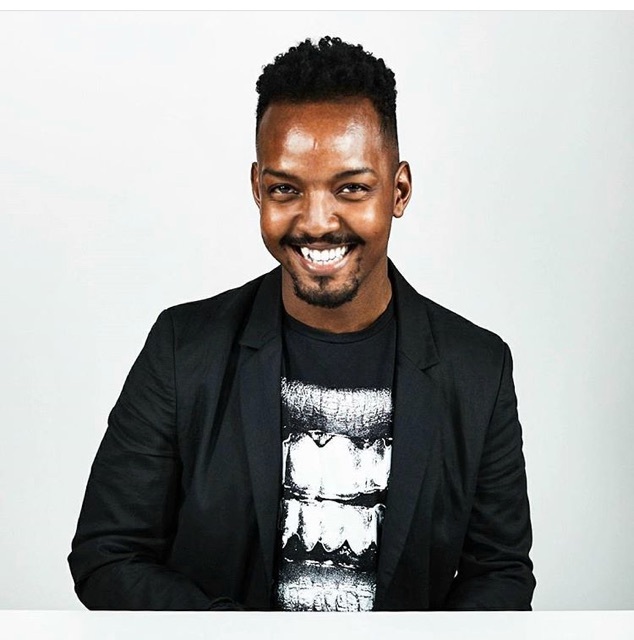 Darnell Bernard is classically trained stage and film actor with strong and prominent features which landed him the role of first male to ever represent L’Oreal Makeup. Not only did he make history, re-defining the American standard of beauty but his commercial for L’Oreal debut during the 74th Annual Golden Globe Awards. Knowing him personally and watching him blossom into who he is today, has been a true pleasure and we cannot wait to see what his Shade of Fierce is up to next! Monet Wallace is an emerging writer who began The Moving Abolition because she “believes the time for conscious freedom is now”. Following in the footsteps of her mom who was also a writer, Monet hopes that “TMA [The Moving Abolition] TMA creates a space for millennials to unwind and consciously grow. She provides new content weekly combined with monologues, spoken word pieces and insightful articles. TMA is like a safe space for those deep thoughts, fears, experiences and ideas that can leave you feeling alone, hopeless, unbalanced and coping with highs and lows of present-day life. Within the minority community it is frowned upon for us to have mental health issues, depression or anxiety. We are seen as bitter, rude, attitude trouble and angry. When we in sense have the most mental turbulence in society, which is why she is one of our picks for highlight these topics of discussions and creating a sense of online community. “I want all my readers to understand that life wasn’t made to be easy but it sure doesn’t mean we can’t be happy and have peace in the midst of our life trials”. This woman is a positive threat to humankind and young professionals alike. Knowing her personally and working with her for a little over 2 years now, Kahshanna Evans is the epitome of a Strong Black Woman. With an extensive background in modeling, film + TV production, event management and better yet, Public Relations, Kahshanna was able to put forth a brand that speaks to niche and emerging brands seeking that extra oomph. She claims that she “…is a narrative junkie and have been involved in media my entire adult life. I think ingenuity trumps what the common man refers to as currency. We’re only here for about 80-100 years so we should make it count. Yep, he’s one of our picks. We absolutely love this man and what he has accomplished at only 31. He singlehandedly revived the Balmain Paris brand at the age of 25 in 2009 and is still making waves! Quite unknown by the masses, young, and of color, he was not well-received at first by the fashion elites. Olivier says “People were like, ‘Oh my God, he’s a minority taking over a French house!” Can’t wait to see what he comes up with, next! Co- Founder Felix Vargas was fortunate enough to design Central Park Conservancy’s Taste of Summer Gala for three years and one-thing always stood out; DJ Kiss’ booth was always at the center of that room no matter how far along in the design and production process we were. She is a staple in the world of DJ’s and has an ever beautiful career. DJ Kiss regularly performs at high-profile celebrity events around the country. Just to name a few of our favorite noted tours such as THEE Oprah Winfrey and Pharrel William, as well as many top name brands like Tiffany & Co, L’Oreal, Knicks, the list truly goes on.. But truly, what makes her an inspirational and influential person is her amazing ability to stay humble. Not to mention, a smile that lightens up the entire room. Yes we know, she is our second A-List celebrity pick but in Felix’s mind they have history! “I mean I was underage and a friend dragged me down to what I now know is considered the East Village to see none other than a comedy drag show. Laverne was the host for the evening and it was pure laughter. Of course, I had to inclination to keep up with who she was after the fact but then a clever show titled I Want to Work for Diddy came on and who was on there? Miss Laverne Cox. Since then she has gone on to breaking barriers as one of the first transgendered women of color to grace her presence with various TV productions as well as gracing the cover of numerous magazines and winning unprecedented awards.” The ever gorgeous Laverne takes a stand and a fierce face on the rights for not only Transgenders but the entire LGBTQ community.